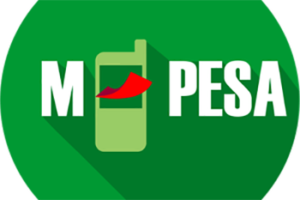 M-Pesa is a mobile money platform whereby subscribers can conduct financial transactions to send or send money using a mobile phone. It also functions as an electronic wallet that user can use to hold up to 100,000 Kenyan shillings. It is a product of Safaricom, the dominant mobile network provider in Kenya. It is remotely comparable to the Western Union or Hawala banking, but it does not require users to have or use their bank account. A user gets an SMS notification after sending or receiving money. Registering to use the platform is free at any Safaricom agent. It requires someone to have a Safaricom SIM card and national identity card or passport as proof of identity. The agents take the money and deposit it in an M-Pesa account or give actual cash to a customer who receives money through his or her phone. 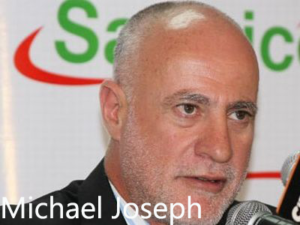 The idea came up when the first CEO of Safaricom, Michael Joseph contemplated with the idea of innovation that was not anywhere else. A student from Moi University developed mobile software that could enable people to send, receive and withdraw money. Safaricom bought ownership rights to continue its development as the sole owner of patent rights. The official launch of the cell phone based mobile money payment and transfer service under the name M-Pesa was in April 2007. It now serves 80-90 percent of Kenyan adult education. Safaricom has over 20 million subscribers on the M-Pesa platform and over 83,000 agents across the country. Many customers use it for remitting money to their rural homes from the city and major urban areas. Today, 96 the percent of households outside Nairobi use at least one M-Pesa account. Agents earn a commission from the transaction. The initial design for M-Pesa was a system allowing Safaricom subscribers to repay their microfinance loans by phone to reduce the cost of handling cash thus enabling lower interest rates. After pilot testing, the company saw that there was a need for mobile wallet and money transfer. It broadened the platform to include general money transfer. Bob Collymore, the current Safaricom CEO, says that Kenyans “needed a secure way of transferring money to relatives, friends or for business purposes.” He points out that the need or market conditions do not exist in other countries and it is the reason why M-Pesa is a distinct platform that grew as a uniquely Kenyan product. In the mid-2000s, Joseph was CEO of Safaricom took a small team to build an innovative product for his customers. He required for “developments than no-one else in Kenya had done, that would interest and add value for customers.” He through Vodafone Group Plc that owns 40% stake at Safaricom capitalized on a grant by International Development in the UK for companies that could develop services for helping the unbanked. Joseph encouraged the team of developers to create a financial service for people to use easily from any basic feature mobile phone. The team originally worked on an idea of microfinance loans with cell phones trialing a model service in Thika area 40 kilometers north of Nairobi. The findings were that most loan recipients sent the money hundreds of miles away to other people. The observation was a revelation of the biggest financial challenge for many Kenyans. The family breadwinners worked in urban areas, but their families were in rural Kenya without banking service due to lack of infrastructure or huge cost of service. Delivering money was also expensive as it required the earner to travel, send another person or transfer through an unreliable method.Safaricom came up with a solution by re-engineering the loan system to include transmission of money from one mobile phone to another. He also took on a storm from commercial banks in 2008 to save M-Pesa from possible suspension or ban. The banking sector made claims that it was operating as a bank illegally. The central bank and ministry of Finance gave him a challenge to “find a way of convincing the government that it was a safe and secure product.” Joseph took the then Finance Minister John Michuki through the process and even paid one of his farm workers through it. After an investigation, the minister concluded that M-Pesa was secure and gave it green light. Since then banks are now some of the most active mobile money agents. Some have even integrated the customer bank accounts with M-Pesa helping to widen its presence in the banking sector. Many innovations never take off or make an impact on the market. Why did M-Pesa succeed that fast? M-Pesa sends cash from a phone to another quickly and safely without the need to carry it in bundles or relying on other people to do it for you. People can send money in their mobile wallet from a location with network connection at any time. It saves time to go to an agent, bank or find someone to send. It is especially convenient to urban working class with families in the rural home. It also allows customers to pay for their purchases with their mobile phones. Director General of Communications Authority, Dr. Francis Wangusi attributes the growth of M-Pesa to the state of Kenyan banking industry “when opening a bank account was stringent and unfavorable for low-income earners.” People could not access money for daily expenses at ease, and credit cards were out of reach for a population relying on their daily earning for day to day lives. M-Pesa was a viable option as subscribers can access their money anytime even in any areas without banks thus fitting to their liquid requirements. It is simple to sign up, use and does not discriminate the income status. It is simple to access and operate an M-Pesa account. Collymore terms it as “easiest form to transact” as it does not require lining up in bank hall and does not require any paper work or referral except national ID to register. Unlike banks, customers can visit one of the man access points called agents at any corner of the country. The key to M-Pesa success is that Kenyans trust it is secure. It ensures that their money is safe with a simple SIM card without a need for any other security measures. It also eliminates the need to use third party systems to transfer money. Safaricom roll out of M-Pesa was a t time when it already had a high number of mobile phone subscribers a high SIM penetration. A SIM is significant as someone can use it for a transaction even with someone else’s handset. It is also possible for someone with a SIM registered on another network albeit at a higher cost.st. Safaricom the company behind M-Pesa is the biggest mobile network operator. It is almost a monopoly holding the lion’s share of mobile phone service. All its subscribers have access to the service. The many financial services on offer put off customers as it much before converting them to cash or vice versa. Safaricom solves the problem as customers can visit an agent near them and immediately covert mobile money to hard cash or vice versa. The simple conversion process means carrying mobile money is as good as having the cash yet more secure. Safaricom could afford to spend millions of Kenyan shillings on advertising M-Pesa and educating the potential users. Most users knew it because of a robust marketing campaign. Up to now, Safaricom advertises and run promotions to keep everyone informed about the mobile money service. Kenyan Government has 35% stake in Safaricom. Its interest combined with the larger market by the mobile network operator made the company be at the level of monopoly. It ensures the investment in technology and agent network is protected leading to the dominance of money transfer. Safaricom partly owes M-Pesa success to the role of government regulators. They allowed the service to go on despite intense lobbying by banks and other interesting books. Collymore agrees that it came “when there was no regulation on transferring money on a mobile phone.” Regulators allowed this innovation to run ahead of technology whereas most countries regulate innovations to run within certain bars. The fact that government has a stake in the business shielded Safaricom from extreme repercussions. Kenya has a credible national identification system. It helped Safaricom to navigate KYC (know your customer) requirements before opening a bank account or transacting money. A person can register to a SIM card and M-Pesa within 5 minutes of producing a national identity card or passport since there is no reason to doubt the document. In countries where without proper identification, an innovation such as M-Pesa would be a challenge as there is no main way of identifying potential customers. It is one of the hurdles for mobile money transfer in Nigeria.ria. Retailers have been using pay bill option by M-Pesa. It requires a business to apply for a number from Safaricom. When customers reach the till they use the Lipa na M-Pesa to send the amount spent on purchase to it and in an instant their debt is cleared. It is now a popular method of payment in supermarkets, shops, restaurants, and bars. It works well for the walk in customers who pay for goods or services over the counter. It does not cost anything to customers while businesses pay 1.5% per transaction. Businesses with an official long term relationship with their clients get a pay bill number that the clients use to make payments remotely. It is the method that many companies now use to receive payments rather than ask their customers to queue at their banking halls. Pay bill account requires a bank to have a minimum of Ksh 50,000 in the mobile account. They send funds they receive to a specified bank account. It helps to maintain better sales records as payment notifications re available on SMS. It also eliminates the problem of slow cashiers or wrong calculations of the amount that customers should pay. Most service providers for pre and post bills now use M-Pesa as their preferred method of receiving payment. Companies such Kenya Power or Nairobi water has pay bills through which their customers pay their bills. 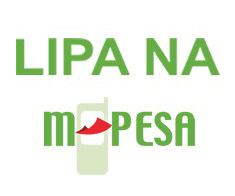 Many still get the cost of the service by checking the bill using their Safaricom line, M-Pesa is also the method of choice for receiving monthly contributions by an organization such as NHIF and NSSF. It saves them from dealing with cash which is insecure and inconvenient to serve a long line of customers. Many firms have become M-Pesa agents to get more profits and offer their customers for other products a point for them to withdraw cash and pay for the cost purchases. How Have Banks Adopted to M-Pesa? After banks lost their bid to have the ministry of finance ban M-Pesa for the illegal operation, most of them ended up lining to become agents. These days, banks such as Family, Equity or Post Bank have a separate counter for M-Pesa service. Any customer can walk in to deposit or withdraw money from their mobile platform even without accessing other bank services. Most Kenyan banks now have a mobile banking platform allowing customers to access their accounts from cell phones and withdraw to M-Pesa without going to the bank. It is also possible to send cash from phone to bank account. In 2012, Commercial Bank of Africa launched a paperless saving and borrowing service through M-Pesa. Those who save earn an interest in the same way as someone operating a bank account. Customers access the services by updating their menu to create a savings account. Moving the money from M-Pesa is free of charge or ledger fee. Customers can save as little as one shilling. Customers can get emergency loans without producing collateral or fill any paperwork. In 2015, Kenya Commercial Bank partnered with M-Pesa to start a mobile based savings account, KCB m-Pesa. Customers can make savings as little as one shilling and borrow instantly without saving. The loan limit is Ksh 100 to 50,000. At least 40 banks have a partnership with M-Pesa as it helps them to grow deposits, facilitate bill payment and issue loans. The partnership allows banks to reach up to 3.1 customers per month. M-Pesa has brought a revolution in the way businesses offer their services. In recent years transport and healthcare insurance providers have come on board. You can order for cab services and pay through M-Pesa. It is also possible to save medicals funds on an M-Tiba mobile phone wallet. Send and spend to pay for medical services at specific healthcare facilities. As it celebrates 10 years, M-Pesa is still going strong and is likely to make more inroads in other businesses due to its convenience.